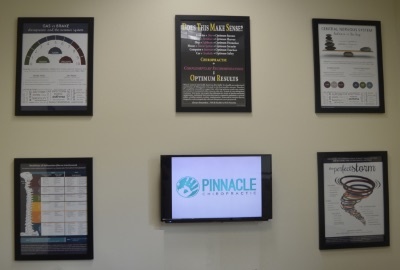 At Pinnacle Chiropractic, we’re dedicated to helping children to live to their full health potential. Dr. Matt’s involvement with our local community, including participating in the children’s ministry at his church, is where his passion for pediatric care started. We love to see our youngest patients thriving, being well and living an abundant childhood! Sickness is increasing at alarming rates among our children. With each year that goes by, chronic illness is more and more common. 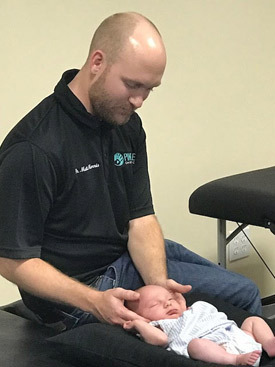 By starting chiropractic care early, we can get your kids on a path to health quickly, rather than waiting until they’re older and a problem has been present for years. Chiropractic care is 100% safe for children. Our approach doesn’t use any popping, twisting or cracking as conventional chiropractic does. It’s low-force and extremely gentle. Our pediatric patients experience fewer meltdowns, improved sleep, less sickness, enhanced concentration and focus and overall better control of their bodies. How can my child’s health be enhanced through chiropractic? Chiropractic care at our office focuses on the function of your nervous system. When it operates optimally, your body can also work at its highest potential. It’s ideal for kids as well as adults. Does insurance cover chiropractic care for children? Chiropractic care for children is generally not covered by insurance. Our office is an out-of-network provider. If you’re seeking reimbursement for your child’s care, we’ll provide you with all necessary documentation to submit to your insurance company. If you have been searching for a chiropractor for kids, look no further. Dr. Matt would be happy to speak with you. Contact us today! We offer complimentary consultations by phone or in the office.